The cultivation of collaborative learning, peer leadership and a timeless appreciation for provocative academic discourse are deeply woven into the history and spirit of O’Neal. Faculty department heads lead their colleagues in holistic curricular development across multiple classes, grades and divisions to maintain and strengthen the school’s academic culture - in a way that will benefit every student, every day - throughout their individual educational career and beyond. The yields of these actively-curated interdepartmental endeavors have been described as a “cross pollination of ideas,” a creation of new pathways and connections that enhance the experience of both students and faculty. The department heads, along with our head of school, director of studies and division heads, are building a community in which everyone is a lifelong learner – especially faculty. With departmental organization strategically designed to maximize school-wide faculty dialogue, the department heads are a source of guidance and leadership as their colleagues collaborate across the proverbial aisles to uncover new teaching techniques, pursue innovative professional development opportunities and make meaningful contributions to the ever-present goal of vertical curriculum alignment. The continuous vertical alignment supports students’ growth and learning between each division. This purposeful mindset creates fantastic opportunities for the entire O’Neal faculty community to share in one another’s successes and take an active role in planning for future student experiences. Each department has established goals that members work to accomplish every year. Independent thinking and building confidence in students is a common focus. A uniqueness of O’Neal is the ability for faculty and students to interact and collaborate across divisions in order to accomplish objectives. Most importantly is O’Neal’s ability to design a strong road map for each subject where the journey starts in kindergarten and ends at graduation. Each teacher knows how best to prepare the student for the next level. "Complementing our core reading texts, our writing curriculum overall utilizes a workshop model," explains Dr. Camastra. "In kindergarten through eighth grade, teachers employ Lucy Calkins’ Writer’s Workshop curriculum which was developed at Teachers College in Columbia University. Objectives in the kindergarten classroom reflect different pedagogical expectations from those of the Upper School." Subject curriculum is ever changing. At O’Neal, colleagues across divisions have the ability to learn from each other. They work together to ensure that their students build skills that lead to lifelong learning and success. For more stories on O'Neal, read The O'Neal Magazine. Upper school students help lower school students with a math game on Pi Day. Dr. Nicole Camastra, English Department Head | Dr. Camastra taught for fifteen years at the collegiate level with degrees from SUNY / New Paltz and University of Georgia. She now teaches in the Upper School and is co-editor of Elizabeth Madox Roberts: Essays of Discovery and Recovery (2008). Currently, she is revising her book, Nostalgic Sensibilities: F. Scott Fitzgerald, Ernest Hemingway, and Romantic Music. David Williamson, Science Department Head | Mr. Williamson teaches in the Upper School. Prior to coming to O’Neal, Dave worked for four years with Clemson University as an assistant director at the RM Cooper Youth Learning Institute. He has bachelor degrees from Skidmore College in Environmental Studies and Computer Science, as well as a Master of Arts degree from UNC Pembroke in Science Education. Jennifer Isaacs, Math Department Head | Mrs. Isaacs teaches in the Upper School. After earning a degree in Applied Mathematics and German Studies from Brown in 2005, Mrs. Isaacs began her professional career working in finance in New York and then in Washington. 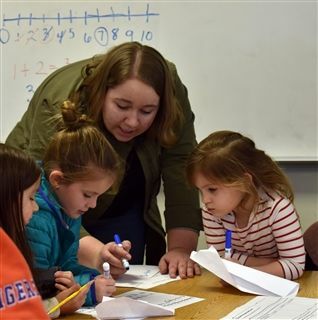 She returned to school to pursue her passion for teaching, completing a masters degree in education in 2011, and has been teaching and tutoring ever since. 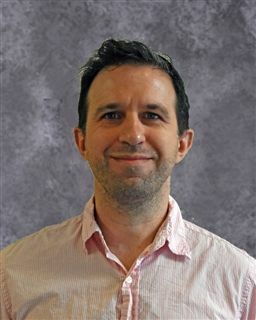 Dr. Ryan Staude, History Department Head | Dr. Staude teaches in the Middle School and joins O’Neal with over a decade of teaching in independent schools including Windward School (CA) and most recently Pingry School (NJ). He has designed history curricula and earned his B.A., M.A. and Ph.D. from the University of Albany, SUNY. Heather Weeks, World Language Department Head | Señora Weeks teaches in the Middle School and has been teaching Spanish since 2004 to students of all ages. Señora Weeks studied Biology and Spanish at Appalachian State University. Upon returning from a semester in Madrid, she applied to the graduate program at Wake Forest University where she later received her master's degree in Spanish Education and she has been teaching ever since. Virginia Andres, Arts Department & Middle School Head | Virginia Andres has been a teacher for the past 14 years. Before joining O’Neal in 2016, Virginia was the Middle School Dean of Students at Norwood School in Bethesda, MD. She holds a BFA in directing from Carnegie Mellon University and a MSEd in supervision and administration.